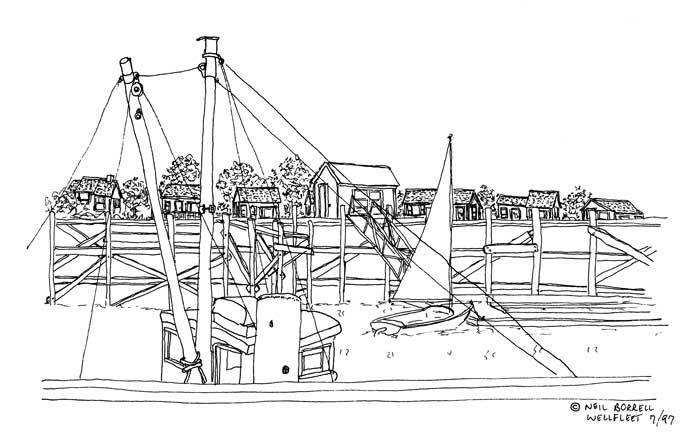 These drawings were done from Town Pier in the town of Wellfleet on Cape Cod in Massachusetts. 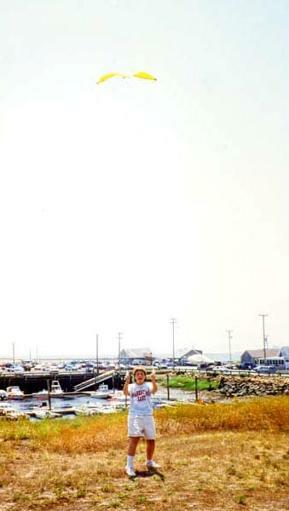 The cottages in the background with the sailboat are the group that we’ve been renting in since Amy was two years old. They have an interesting history and at least some of them were either moved from Hyannis, an hour’s drive, or floated over from Indian Neck, which is much closer. I think one is supposed to come from Billingsgate which was a community that is now submerged but I may be thinking of a building in town. When we first rented they were very sparsely and plainly furnished, but the location kept drawing us back. They were eventually turned into condos and after a few years they were available to rent again from the owners. Now they’re each individually decorated and some are built up as much as the owner can get the condo association to agree to. The first one we rented now has at least three skylights. 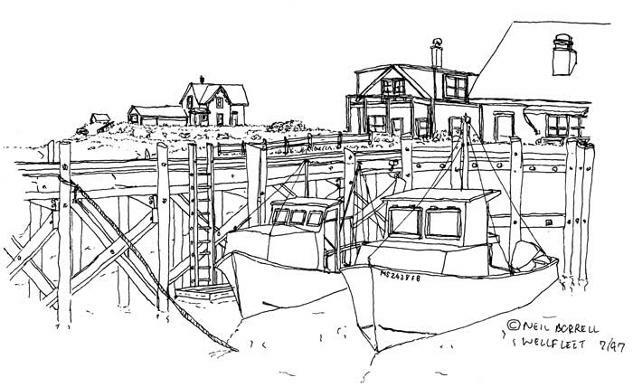 This is the cottage where we let two young fishermen unload their very small boat that was filled, almost to the point of sinking, with bluefish. I remember at least 60 large fish on the lawn beside the house. They said the tide was too low for them to be able to cart the fish up to the pier which was directly in front of us. They kept referring to their catch as a “bounty” and thought their fortune was made. 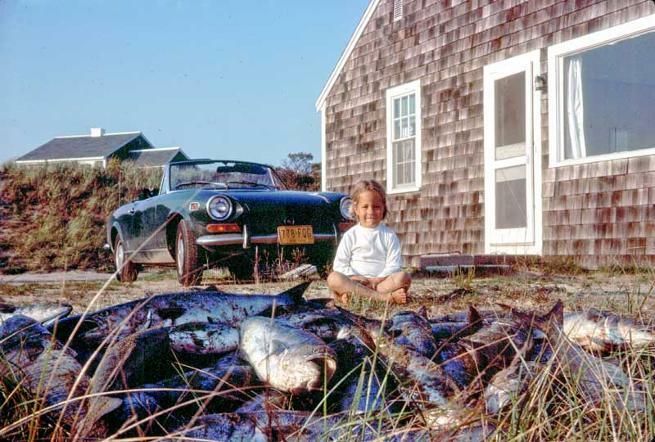 I thought there were probably a lot of bluefish caught that day which would keep the price way down. They offered us one but we decided they should make as much money as they could with their catch. 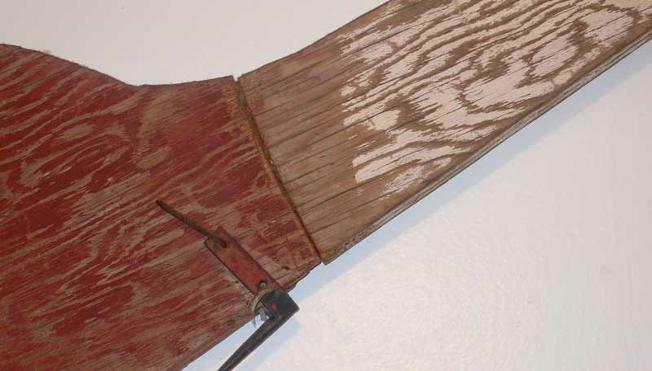 At that time each cottage had a set of cheap serrated steak knives, which came in handy one day when I found an old wooden tiller buried in the sand. There were a lot of derelict boats on this little spit of land and the tiller must have come from one of them. We had a little Fiat 124 Spyder sports car and the tiller wouldn’t fit in the trunk so I cut it into two pieces with one of the serrated steak knives. 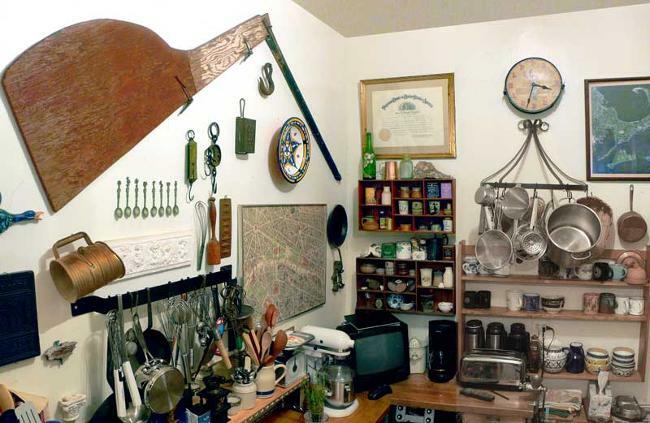 I don’t know how long it was buried in the sand but it’s been mounted on our kitchen wall for about 30 years. Since she was born in the summer we wound up celebrating many of Amy’s birthdays in Wellfleet. 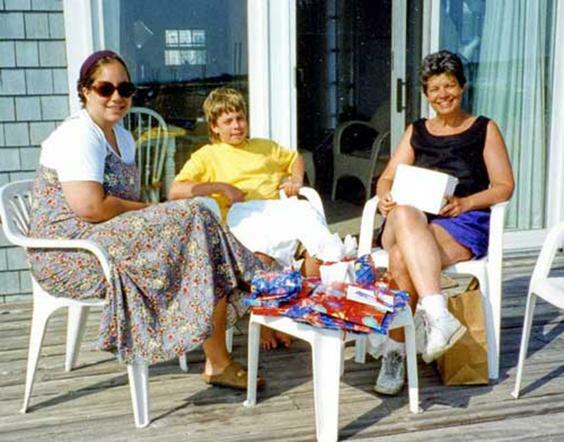 It was always a challenge to hide the presents when she was younger and traveled to Wellfleet with us. When Adam was younger we would go through three or four cheap kites in a stay. I once asked a shopkeeper if she would just save us the trouble and break the kite before we got out of the store. After a couple of years Adam taught himself to be an accomplished stunt-kite flyer.